This month the world’s greatest athletes converge to compete in the biggest sporting event of the year – Rio Olympics. Did you know the world’s top athletes use Chiropractic as a secret weapon to be more competitive? 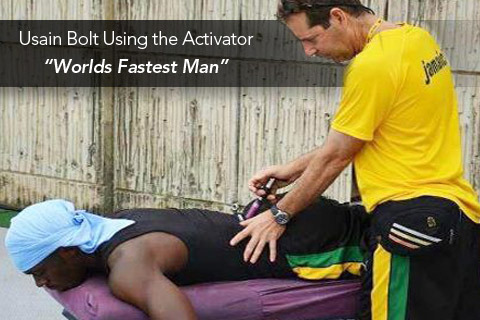 Usain Bolt, the world’s fastest man, gets adjusted before every competition and often between races. He has to be 100% switched on. But shouldn’t everyone? Wouldn’t you love to be performing at your best and recovering as quickly as possible? But why is Chiropractic so effective for sporting performance? According to new research published in the (peer reviewed journal) Experimental Brain Research Journal – “Changes in H-reflex and V-waves following spinal manipulation” (I prefer the term spinal adjusment) Chiropractic can increase performance, decrease fatigue and generate more efficient power from your muscles. Have you ever noticed that if a novice begins weight training they generally have substantial gains during the first 3-4 weeks of training? This is not due to new muscle growth, this is the result of improved nervous system function. Stronger neuropathways leads to improved muscle recruitment patterns. The authors noted that “following a single session of spinal manipulation” there were similar results in MVC (maximum voluntary contraction) to what had been observed from 3 weeks of strength training! This research also suggests that “spinal manipulation can prevent fatigue” as it lowers the recruitment threshold of the motor neurons by either allowing the low-threshold motor neurons to become more excitable or the “primary afferents (neuropathways) to become more efficient”. This is why so many professional and recreational athletes have regular chiropractic care. Start performing at your 100%. Get Adjusted!